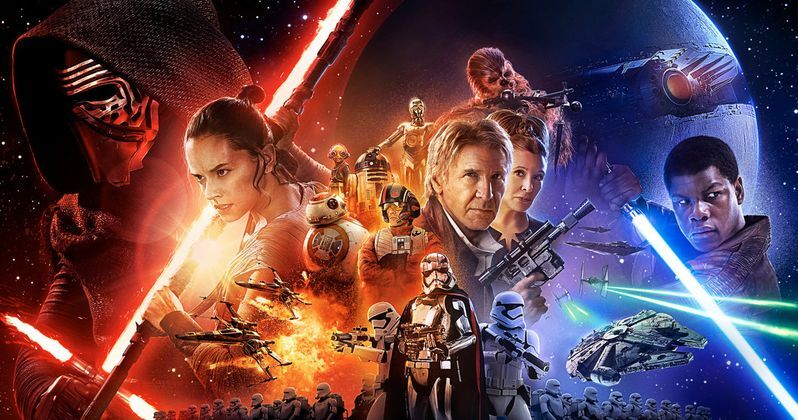 When Star Wars: The Force Awakens hit theaters on December 18, online streaming services were quick to announce a VOD pre-order with a spring release date. No official premiere date was given, with news that the Blu-ray and DVD would arrive sometime there after. Now we have confirmation from Amazon that the Blu-ray is coming in early spring. The exact release date announced for the Blu-ray is April 5, 2016. The original runtime for the movie is 136 minutes. Amazon has the runtime at 150 minutes. No special features are listed, and no special exclusives have been announced at this time. And it isn't known why there is a discrepancy in the runtime. Could we be getting 14 minutes of deleted scenes? In terms of The Force Awakens special features, we do know that there will be a number of deleted scenes included. Just from the trailers released before the movie, we know that there are a number of moments that didn't make it into this long awaited sequel, including a scene at Resistance Headquarters, where Maz Kanata gives Princess Leia Luke's old lightsaber. And anyone who has traipsed through a toy store lately has noticed action figures for characters that aren't in the movie, such as Constable Zuvio and Goss Towers, both of whom wound up on the cutting room floor. Even though Amazon has a new runtime listed, don't expect a Director's Cut. J.J. Abrams has already said that isn't happening. J.J. Abrams isn't going to go back and tinker with his final cut of Star Wars: The Force Awakens. More about the Star Wars: The Force Awakens deleted scenes will likely come to light in the next few months leading up to the big home video launch, which will surely be one of the biggest in history. The movie is already available for VOD pre-order at a number of streaming retailers. Star Wars: The Force Awakens will likely show up on VOD a few weeks before the Blu-ray, so we may only have to wait until March to purchase a streaming copy of the movie!